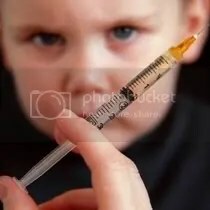 The full length documentary by Gary Null PhD regarding health issues of vaccines, corruptions by courts, and the promotion of untested and unproven vaccines by Big Pharma in order to keep the multi-billion dollar industry ticking over. This includes Gardasil. For most people, vaccinating themselves and their children seems like a good idea. Vaccines are safe, effective and are supposed to protect us against dangerous infectious diseases – Right? Wrong! What you don’t know can harm you or kill you! In this groundbreaking film, you will: * See the truth about the dangers of vaccines and their direct relationship to autoimmune diseases, infections, allergies and a massive increase of developmental learning and behavioral disorders in children, such as Autism. * Discover the truth about the history of vaccines and how they have NEVER been proven to be safe and effective for anyone. * Witness the legacy of governmental deception and cover-ups associated with vaccines. * Learn about the corruption within the scientific community and how vaccine studies are seriously flawed. * You’ll also follow heart-wrenching, real life stories of the parents and children devastated by the effects of vaccines. Join director Gary Null PhD and over 40 of the worlds foremost vaccine experts in this shocking expose’ that will shatter the truth as you know it. DVD copies are available at http://www.garynull.com.